• You get to choose the class hours according to your discretion. • Instead of a typical classroom environment, you get to learn in the comfort of your home. • Since the actual sessions are never crowded, more attention is focused on you. • Zero conveyance cost. Also you get to choose a class which fits your personal style and budget. • Since there is to-and-fro involved, you save a lot of time. According to a survey, more than 2 million students enrolled in online education courses in 2002 alone. If a recent U.S. government document is to be believed, the average age of online students is 34 years old and they are mostly female. Among the women surveyed, 20% belonged to the age group of 41 - 50. 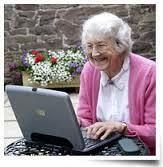 The number of older women currently working to complete courses and degrees online represents a social wonder. Awareness of women`s problems and measures to help overcome the tribulations are required to raise the success of both older women and online programs. Although women are the main users, they are grossly underrepresented in high-tech sectors and among university administrators who are currently influential to online learning. Many adult women returning to college classes have to tackle significant hurdles not usually experienced by men. Many women balance career, community and household tasks against their curricular work. They often have serious economic liabilities too. Customarily, they have grappled with these difficulties while also facing inflexible class schedules and educational policies, incompetent childcare, lack of appropriate lodging, and lack of dependable transportation. Online education seeks to solve all this and more.